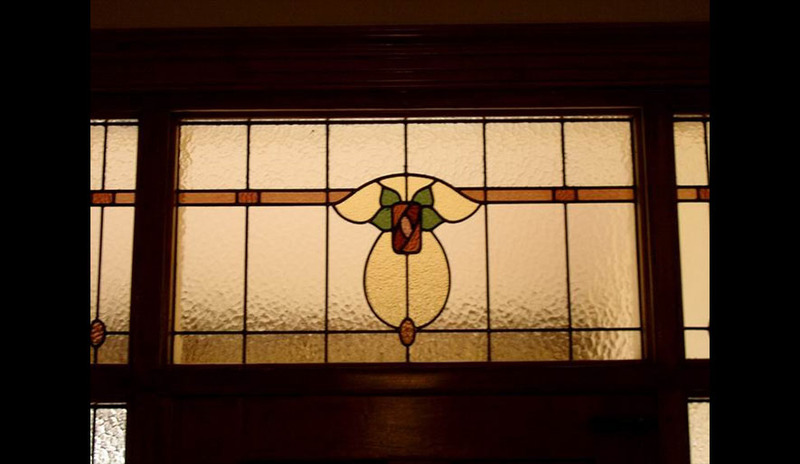 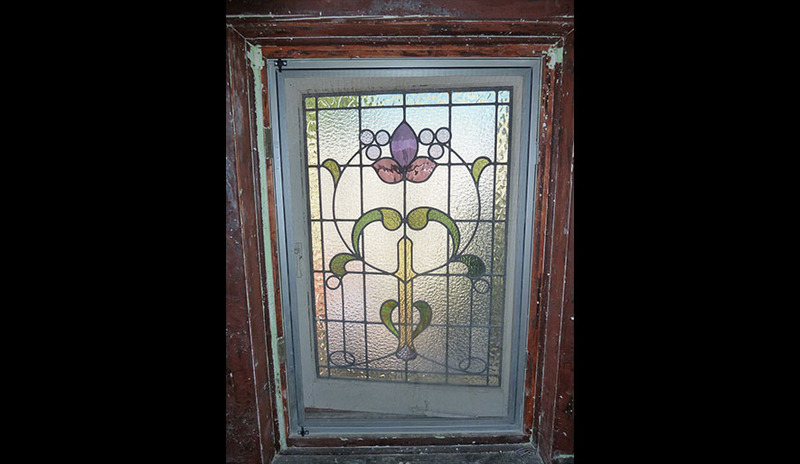 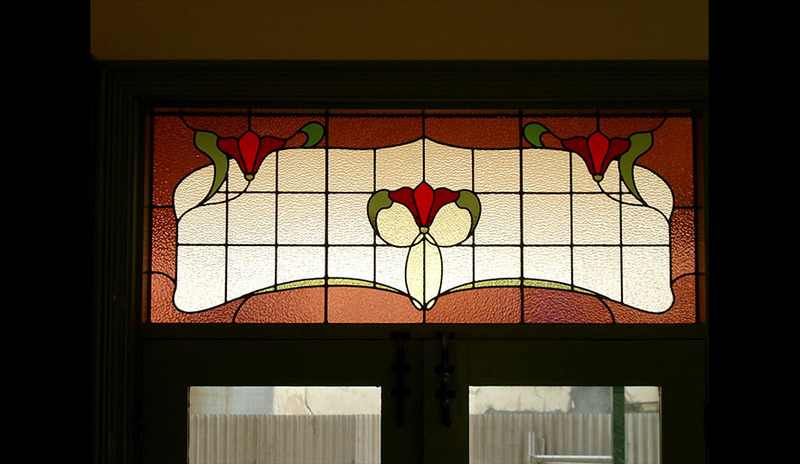 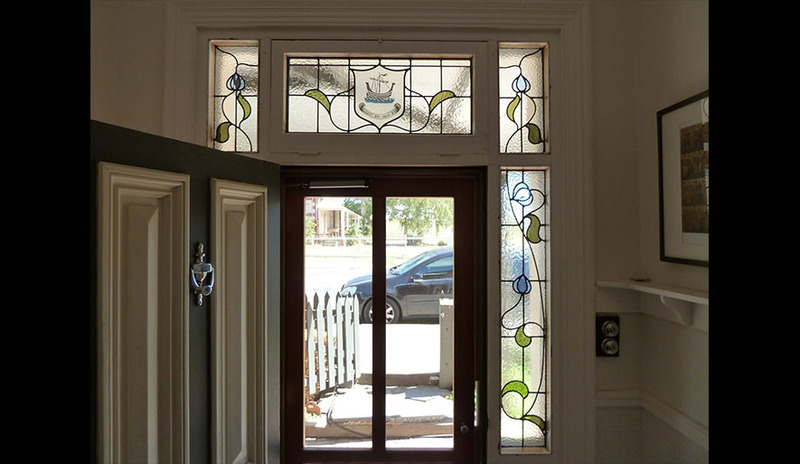 A simpler, but no less beautiful, period for leadlight followed during the years between 1890 and 1915. 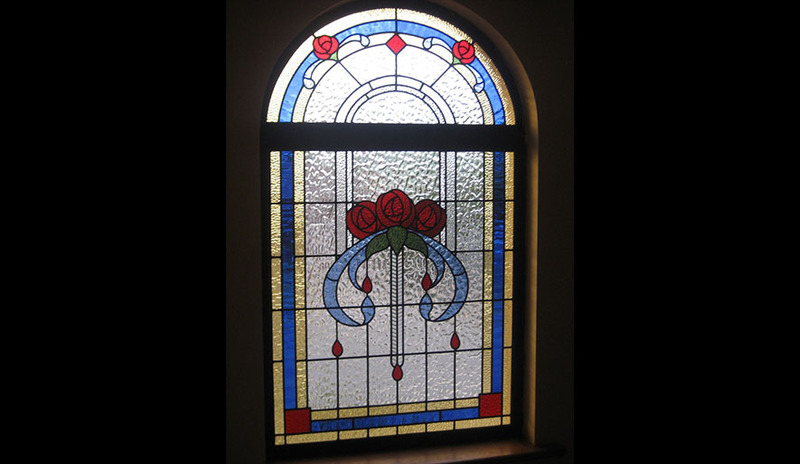 Painted glass was less common with teardrops, roses, tulips taking centre stage. 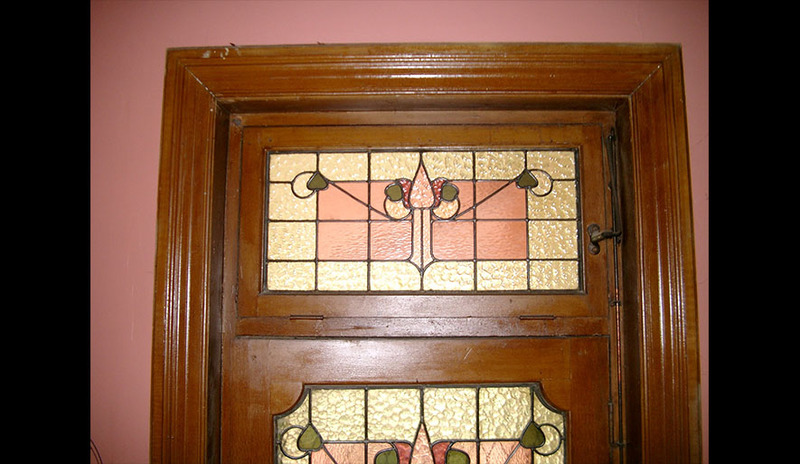 There was a more subtle use of colour with clear glass often used to support a central feature. 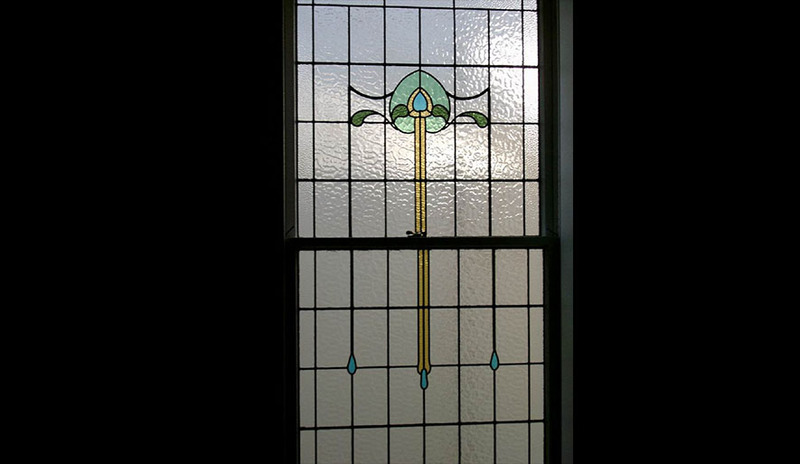 A quietly understated time in the leadlight world.